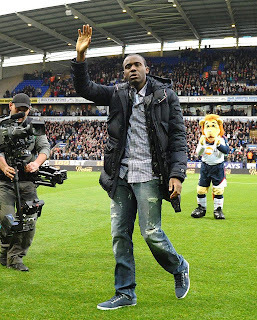 Mchezaji wa timu ya Bolton Wanderers ya Uingereza, mwenye asili ya DRC, Fabrice Muamba, hatimaye ameamua kuachana na soka kabisa kutokana na tatizo lake la moyo. Licha ya kufanyiwa upasuaji ambao ungeweza kumuwezesha kurejea tena uwanjani, timu ya madaktari, nchini Ubelgiji wamemshauri kuachana na soka ili kuepuka kuhatarisha maisha yake, uamuzi amabao Muamba kaufikia hivi leo kwa masikitiko sana. Aidha kabla ya kutangaza rasmi kustaafu soka, Fabrice alitoa shukrani zake kwa mashabiki na wadau wa soka duniani kote kwa dua na maombi yao, lakini hana budi kuitizama afya yake kwanza kwani ndo ktu muhimu zaidi. Ikumbukwe, Muamba alipata tatizo la mshtuko wa moyo wakati wa mechi dhidi ya Tottenham Hotspur, msimu uliopita. 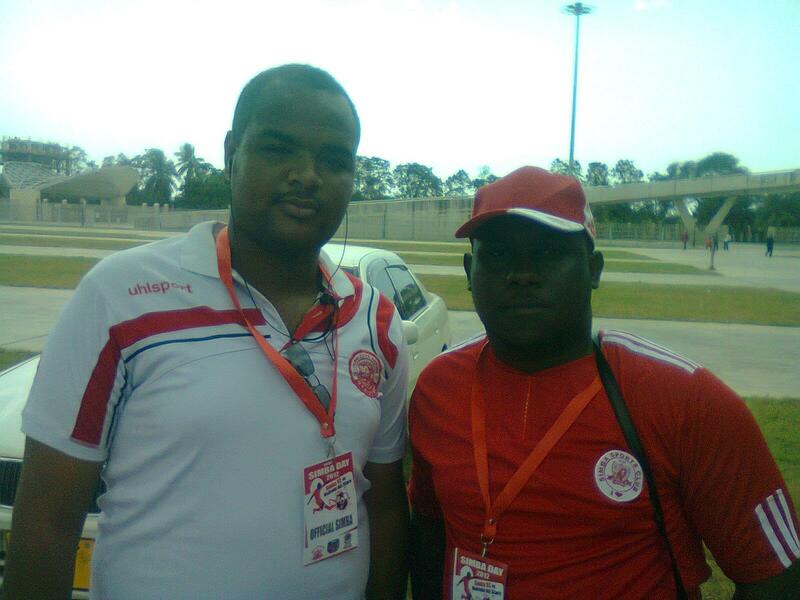 Kila La Heri Fabrice! Tutakumiss Sana! Manchester United is pleased to announce it has reached agreement with Arsenal Football Club for the transfer of Robin Van Persie. The deal is subject to a medical and the agreement of personal terms. A further announcement will be made in due course. 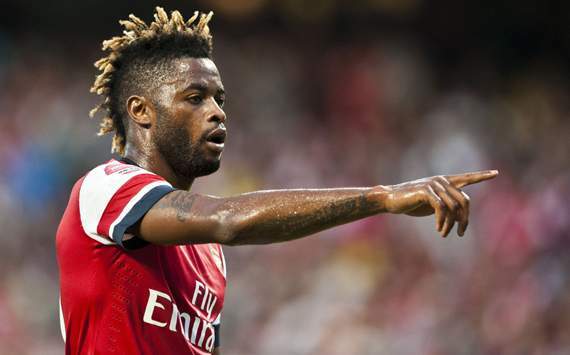 Former Barcelona youth player Franck Songo'o has lavished praise on Arsenal midfielder Alex Song, labelling him as a 'leader'. The former Cameroon international, who now plies his trade in Major League Soccer with Portland Timbers, maintained that Song would be a perfect fit for the 2011-12 La Liga runner-up. The Gunners midfielder has been linked with the Catalan side this week, leaving Songo'o to comment on his compatriot. "Song is very good. [He] plays more as a defensive midfielder but can also play in the center. He has lots of character, [is] very strong and is a leader on the pitch," the 25-year-old told COM Radio. "He is very nice, very outgoing, a very good companion. He is a good person. [He] would fit in without a problem [at Barcelona]. "He is like [Javier] Mascherano but a little more offensive. He is versatile, and can play multiple positions. And I guess that Tito Vilanova and the technical director view that as a positive." Juventus came from behind twice to defeat a nine-man Napoli 4-2 after extra-time in a truly exhilarating encounter at a drenched Bird's Nest stadium in China. Edinson Cavani handed the side from Naples the lead after 27 minutes but his strike was cancelled out by Kwadwo Asamoah 10 minutes later. Goran Pandev pounced on a defensive error to regain Napoli's advantage before halftime but a penalty from Arturo Vidal tied the score at 2-2 in the 76th minute. The Azzurri self-destructed towards the end of normal time as Pandev, its coach Walter Mazzarri, and Camilo Zuniga were all sent from the field of play. Juve then took full advantage of the additional men in the extra time that followed as a Cristian Maggio own goal was followed by a goal from Mirko Vucinic. Due to Antonio Conte's 10-month suspension banning him from the touchline, his assistant Massimo Carrera took charge of the Bianconeri for the game. They assumed control inside the opening 15 minutes but for all of Stephan Lichtsteiner's continual forays down the right flank, the creation of a clear-cut opportunity remained elusive. Juve's inability to test Morgan De Sanctis ended up costing it dearly in the 27th minute when a high defensive line allowed Cavani to stream through on goal. He attempted to round Buffon and although the keeper got a hand to the ball and forced him wide, the Uruguayan remained composed and stabbed his effort home. Napoli failed to capitalize on a poor throw-in from Asamoah as Buffon held Pandev's volley from inside the area, but the Ghanaian more than atoned for that lapse in the 37th minute. A long ball from left to right by Vidal was lashed into the bottom corner with a perfectly executed 18-yard volley from Asamoah. However, the scores were not tied for long as the Azzurri regained its advantage four minutes before the break. Leonardo Bonucci's clearance rebounded off of Pandev's chest and put him in on goal from the left wing. The defender's efforts to chase him down were in vain as the forward produced a delicate finish, dinking the ball over Buffon and into the net. Vucinic replaced Alessandro Matri for the Turin outfit at halftime and his introduction certainly galvanized his side. After three minutes he rattled the bar and he then saw his goal-bound effort, after rounding De Sanctis, blocked by Paolo Cannavaro before the hour mark. Andrea Pirlo had a long-range free kick saved between the Montengrin's two efforts but the Bianconeri's improved attacking display eventually paid dividends with 16 minutes left on the clock. Vucinic was dragged down in the area by substitute Federico Fernandez and Vidal converted the penalty, sending the keeper the wrong way. The game became increasingly ill-tempered and Pandev and Zuniga were shown utterly stupid red cards, the former for dissent and the latter for two clumsy challenges, in the closing stages, while coach Mazzarri was also sent from the touchline. With the score level at the final whistle the game went to extra time and Napoli was thus forced to contest it with nine men. The reigning Serie A champions made their two-man advantage count with a pair of goals in the first half of the additional 30 minutes. Maggio diverted a Juve free kick from the right into his own goal after De Sanctis failed to clear and Vucinic added the finishing touch to a delightful flick from Claudio Marchisio to put the game well beyond the Partenopei. 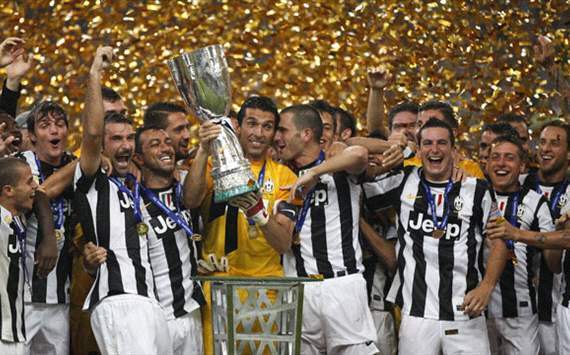 The final whistle was greeted by scenes of jubilation among the Bianconeri players who lifted the fifth Supercoppa Italiana in the club's history in what was a game that truly had everything and served as a fantastic curtain-raiser for the 2012-13 domestic Italian season which begins in two weeks. All T-Shirts Under Us Has An Official Company TradeMark At The Back...Watch Out For Counterfeits!...Buy Original To Stay Original! ONE LOVE! LONDON -- It's hard not to feel bad for Giovani dos Santos. Cruel irony befell the Mexican star as he was only able to enjoy Mexico's gold medal win from the bench, following an injury he picked up against Japan in the semifinals. Relegated to the bench for most of the domestic season, Giovani had found solace in the Mexican national team, which has called upon him at the U-23 and senior level time and again despite not finding regular playing time at Tottenham. Even then, a clearly happy Dos Santos talked about the experience after the game. "I have no words for this. It is, quite simply, the best thing that has ever happened in my career," said the 23-year-old. Going into the match, speculation abounded noting that Mexico's medical staff had said to the press that Giovani would be available to play if manager Luis Fernando Tena required it, noting that the player could suit up by receiving an injection that would numb his pain throughout the match. Whether Giovani dos Santos was ready to play for the game remains a mystery, as the player declined to answer following a question about his health. What is certainly not a mystery is knowing if the Mexican players were ready to go on without him. Meanwhile, his manager Luis Fernando Tena was coy about Gio's health as well, preferring to talk about the game itself. "I told the boys that there's no better glory in sport than to listen to your national anthem with a medal over your chest. They deserve it, this is an extraordinary group. They're great humans and great football players," Tena said during the press conference. 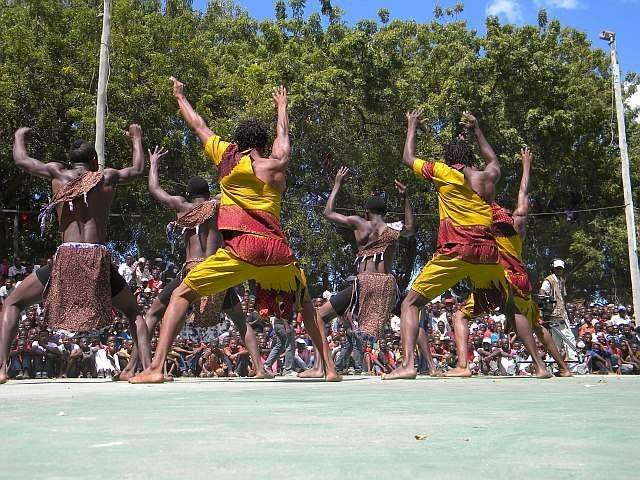 Kundi La T-Africa, Limefanikiwa kuibuka kidedea kwenye mashindano ya kucheza yaliyoandaliwa na EATV na EARadio yajulikanayo kama Dance 100% na kuibuka na mkwanja taslimu shilingi 5000,000 za Kitanzania baada ya kuwabwaga washiriki wengine wanne. Makundi mengine yaliyofanikiwa kuingia fainali ni Best Friends, Tz-Queens, The Chocolate na F.B.I. Leo ndio ile siku ya Simba a.k.a Simba Day pale uwanja wa taifa ambapo Simba itatambulisha kikosi chake kipya chote kitakachoshiriki kwenye michuano ya kimataifa na ligi kuu ya msimuu huu mpya. Leo hii, mashabiki watapata fursa ya kutambulishwa wachezaji wapya na nyota wakiwemo Mrisho Ngassa aliyetokea Azam, Mbiyu Twitte kutoka APR pamoja na kurejea kwa kipenzi chao Emmanuel Okwi. Aidha Simba mpya itamtambulisha mchezaji mwengine kutoka Azam waliyemrejesha kundini hivi karibuni kwa milioni 30, Ramadhani Chombo ''Redendo'' pale watakapocheza na timu ya City Stars ya Nairobi,Kenya mechi ya kirafiki. Looks like the Golden Medal will be heading to South America, after all Asians teams been sent out. Mexico defeated Japan 3-1, while Brazil thrashed South Korea 3-0, goals courtesy of Romulo and a double from Leandro Damiao. Mexico's goals where scored by Fabian, Peralta and Cortes, while Japanese goal was scored earlier by Yuki Otsu. Brazil and Mexico will therefore meet in the Finals this coming weekend...for the Gold. 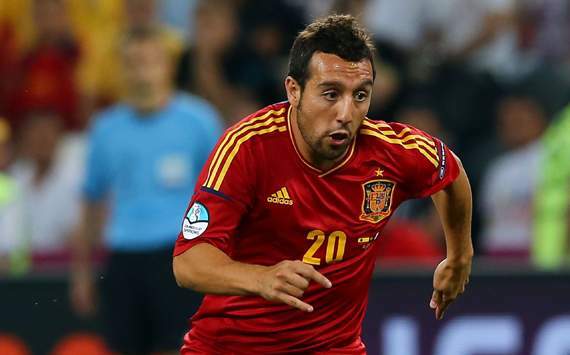 Arsenal have completed the signing of Spain international Santi Cazorla from Malaga on a long-term contract. The 27-year-old attacking midfielder becomes the third new arrival at the Emirates this summer, following the arrivals of Lukas Podolski and Olivier Giroud. Confirmation of the transfer ends a saga where the move had been cast into doubt due to uncertainties over the Spanish club’s ownership situation. The transfer fee for Cazorla is officially undisclosed but Goal.com understands the move will cost the Gunners almost 18 Million Pounds. "I'm so happy to be joining Arsenal," Cazorla told Arsenal's official website. "This is a club with great players, a fantastic stadium and huge support. The club has one of the best managers in football and their style of play is recognised and admired all over the world. "I'm so excited to be joining one of the greatest teams in Europe and also in the Premier League. I will do my best to help Arsenal challenge for trophies and make all the supporters happy." Manager Arsense Wenger was also delighted after seeing the move finalised, hailing the ex-Villarreal man as a great player who will add significant quality to his squad for the new season. "Santi Cazorla is a great signing for us," he said. "He is a player with good experience at both club and international level, who will add significant quality to our squad. "He is a versatile, attacking midfield player who can play comfortably on either side of the pitch or centrally. "He has good pace, is technically gifted and will be a huge asset to Arsenal. We are delighted that he is joining us." Arsenal are currently in Germany for a pre-season training camp and have been joined by captain Robin van Persie - a player still subject of intense transfer speculation - as they prepare to open their Premier League campaign against Sunderland on August 18. 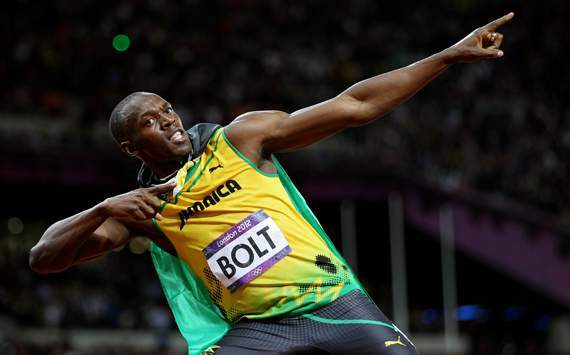 Sprinting icon Usain Bolt insists that he is serious about wanting a trial with Manchester United. The 25-year-old Jamaican, the fastest man in history, dashed into sporting legend on Sunday by defending his Olympic 100 meters title at London in a Games record of 9.63 seconds. But, as a passionate Red Devils fan who has met up with the team and manager Sir Alex Ferguson before, he is hoping that his running glory might prompt his dream career change. "People think I am joking, but if Alex Ferguson called me up and said: 'OK, let’s do this, come and have a trial,' it would be impossible for me to say no," Bolt told The Sun. "I would be the fastest player in the team, but I can play as well. "I am in Britain for a few more days," added the gold medallist, who will seek to retain his 200 meters crown in Thursday’s final. "If Alex Ferguson wants to give me a call he knows where I am." A spokesman for the Premier League club observed to the paper: "As the fastest man on Earth he would undoubtedly add speed to the team." 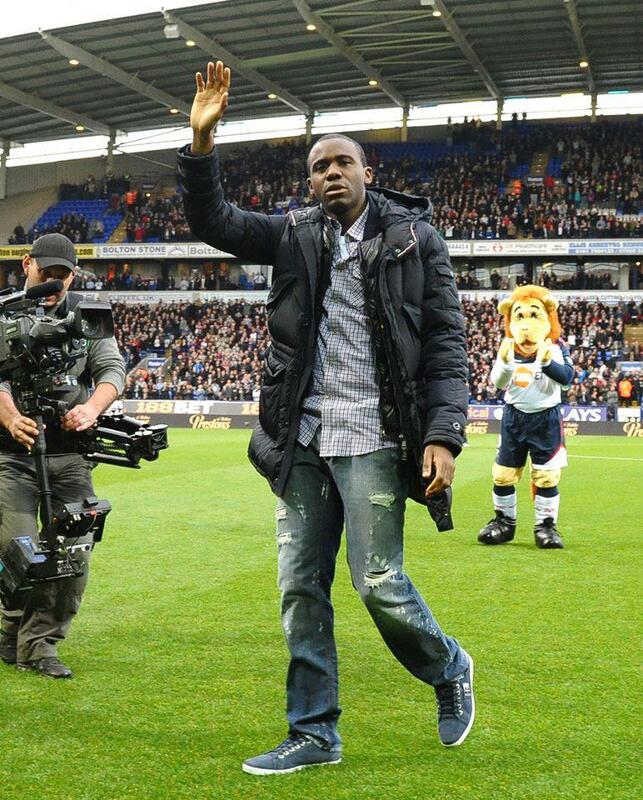 Bolt has expressed his desire to play football before, declaring in 2011: "I definitely want to see what I could do. I think I could step up to the [Wayne] Rooneys."